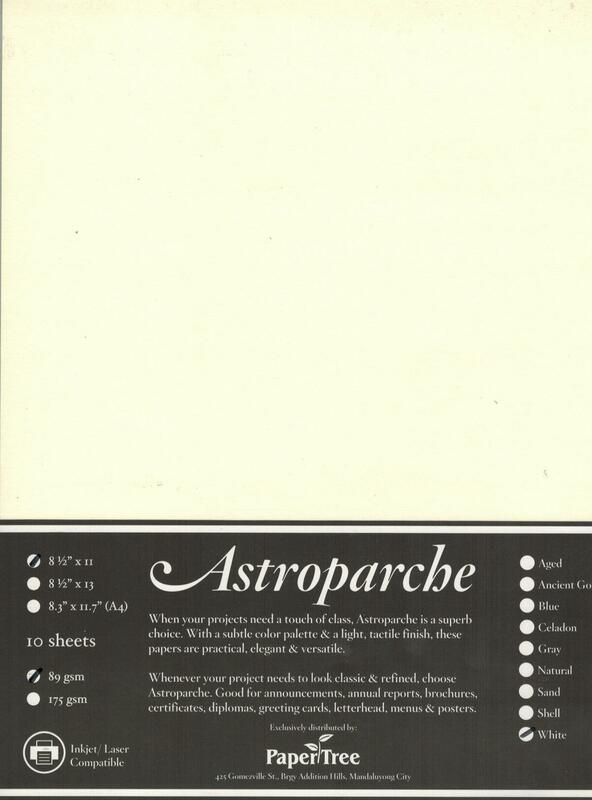 Astroparche - When your projects need a touch of class, Astroparche is a superb choice. 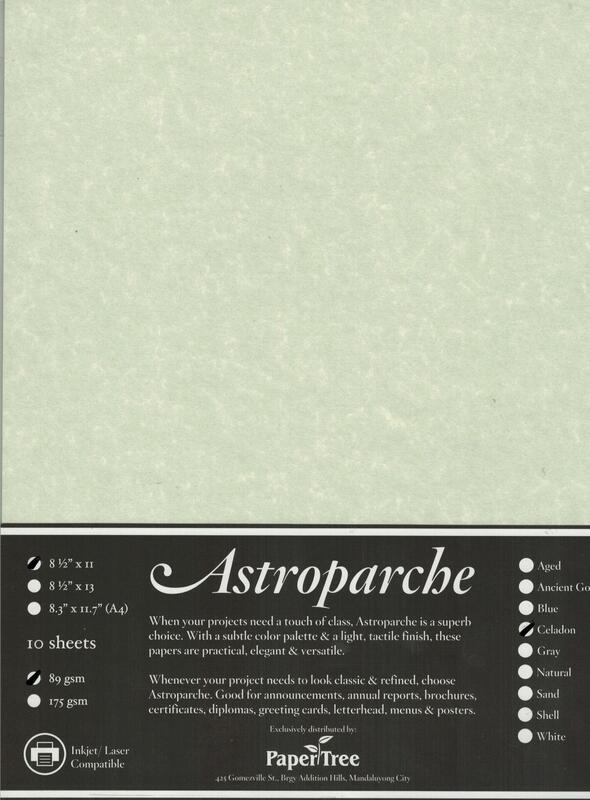 With a subtle color palette & a light, tactile finish, these papers are practical, elegant & versatile. 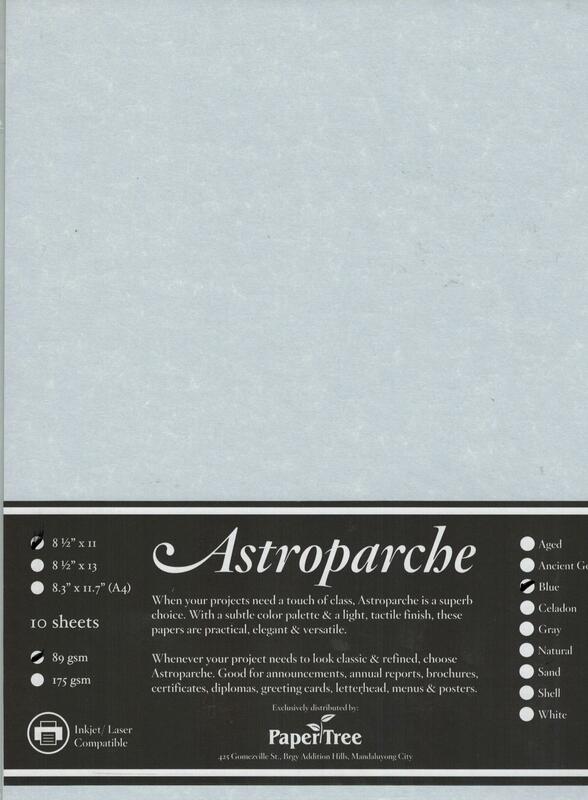 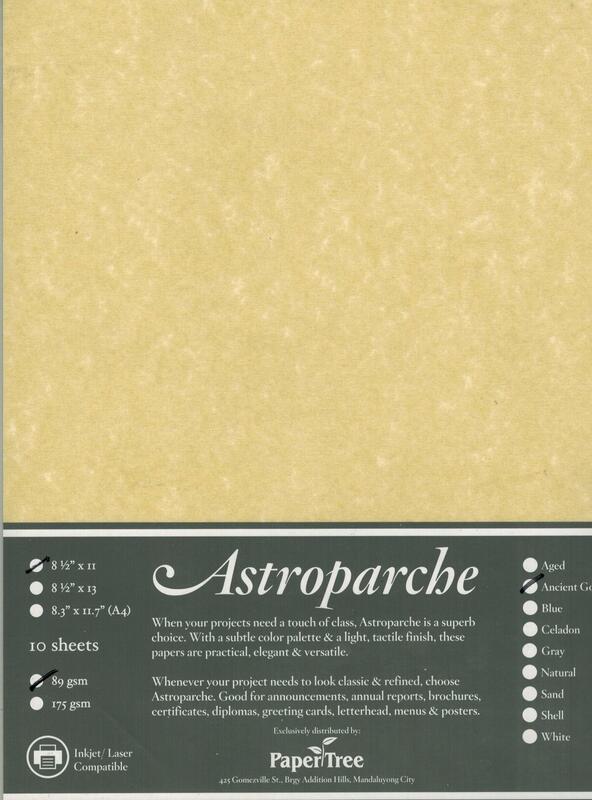 Whenever your project needs to look classic & refined, choose Astroparche. 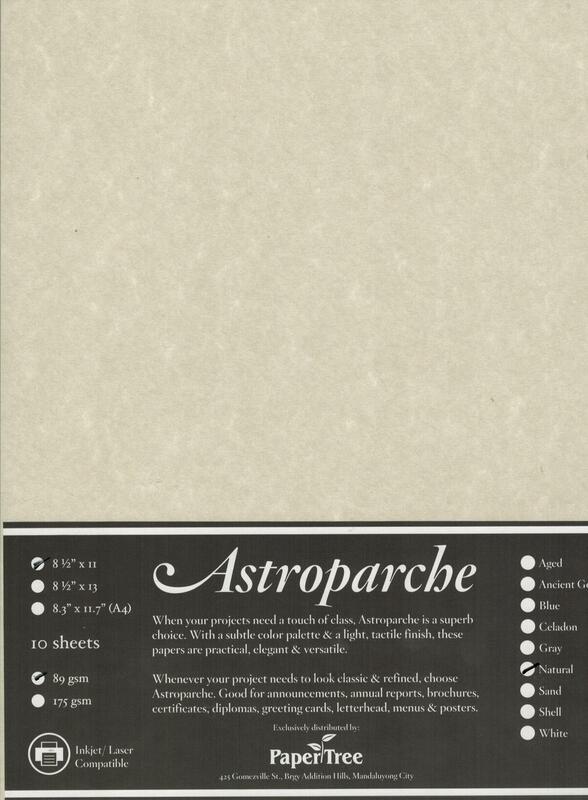 Good for announcements, annual reports, brochures, certificates, diplomas, greeting cards, letterheads, menus and posters. 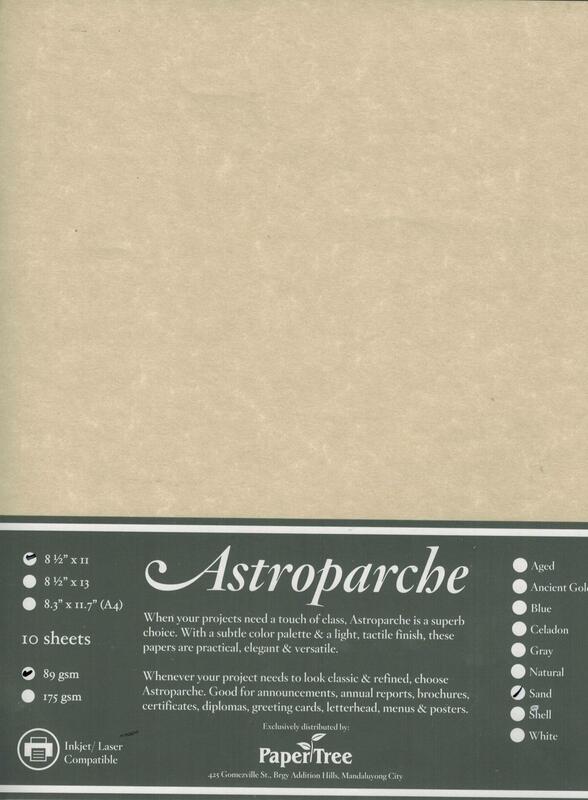 Available in 89 and 175 gsm in sizes: 8.5" x 11"; 8.5 x 13" and A4 sizes. 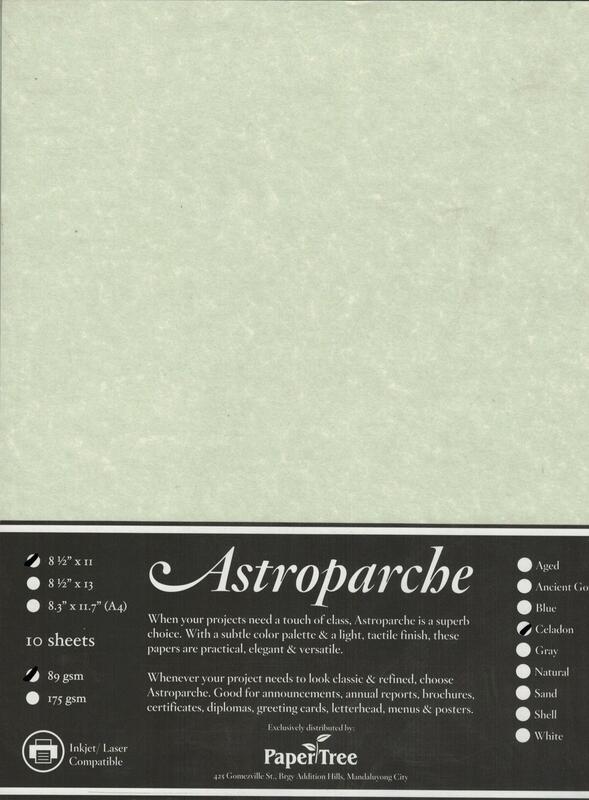 Colors: Aged, Ancient Gold, Blue, Celadon, Gray, Natural, Sand, Shell, White. 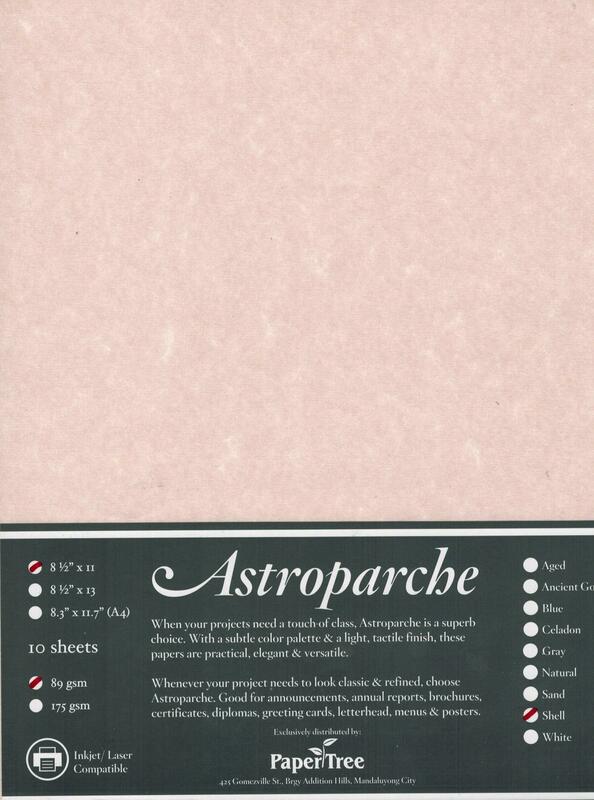 Colors may vary from actual sample.